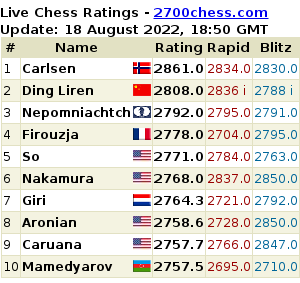 Aronian was asked to name his chess idols by the 1news.az website, and came up with a surprise or two. – Who’s your chess idol? Aronian: I have lots of them, too many to mention. I like looking at their games, admiring them. I really loved playing through the games of Larsen and Gligorich – very aggressive chess players, but then my taste changed a little, and I began to study the games of Petrosian. Among contemporaries there are also a lot of interesting, colourful players: Ivanchuk always impressed me, and Boris Gelfand – I’ve always thought we had a similar style.